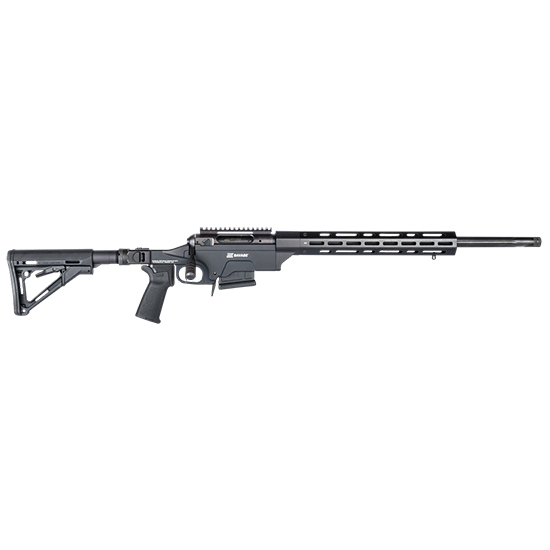 Savage 22631 10 Ashbury Precision Bolt 308 Winchester|7.62 NATO 24 5+1 Magpul MOE|Modular Chassis Black Stk Black in. The Model 10 Savage Ashbury Precision Rifle is built to excel at recreational shooting hunting and tactical competition. It features a factoryblueprinted Model 10 barreled action and Savages useradjustable AccuTrigger paired with Ashburys Saber Modular Rifle Chassis System MRCSAR folding chassis. The modular upgradeable and reconfigurable chassis features a doublelocking folding shoulder stock along with an octagonal aluminum handguard with MLOK attachment system. The Model 10 Savage Ashbury Precision Rifle has a Magpul MOE buttstock and pistol grip 24 barrel and includes one Magpul PMAG AICS 5round detachable box magazine."